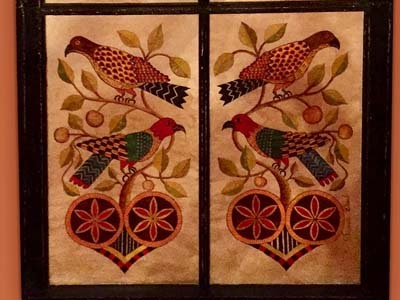 Susan Soloway Daul grew up in the woodlands of New Jersey and has been drawing and painting since her early childhood. 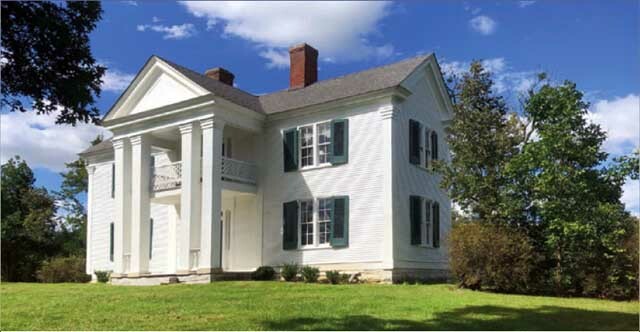 Fascinated by “old things” all of her life, she fondly remembers accompanying her parents to visit homesteads of many of our founding fathers and countless antiques shops searching for treasures from our past. 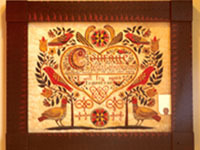 Daul graduated from Meredith College in North Carolina, majoring in religion and biology. 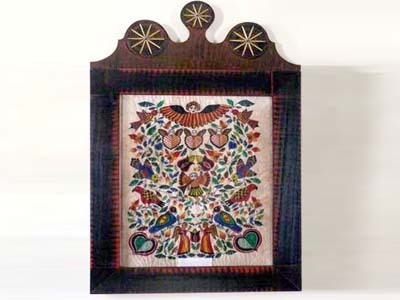 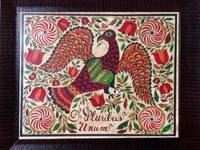 For the past 20 years, she has worked in various folk art media including wood and clay. 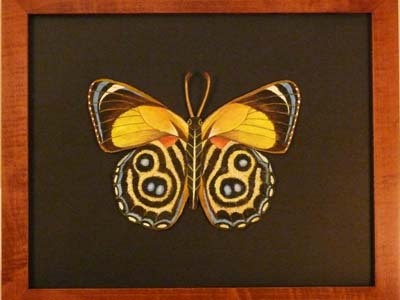 She usually incorporates animals into her pieces in some way. 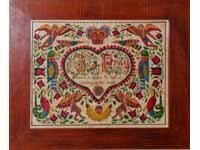 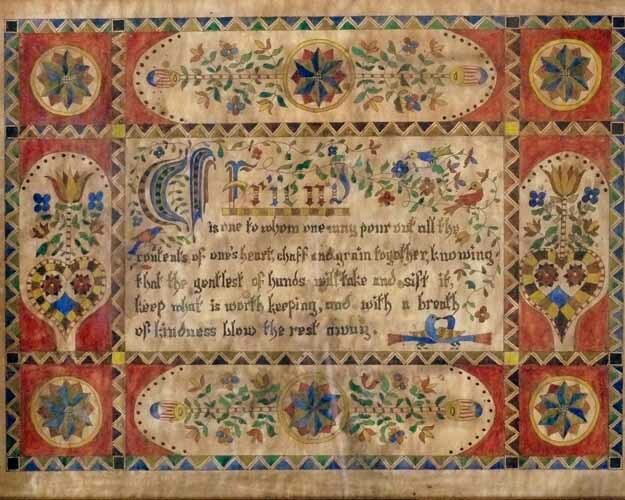 Fraktur became the center of her artistic focus because she found the inspirational verses, beautiful designs and color combinations, and charming use of animals irresistible. 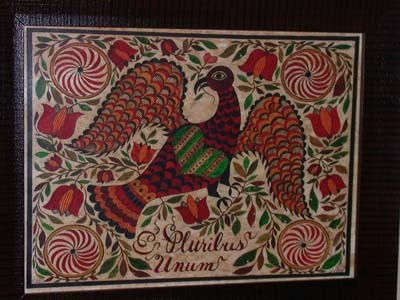 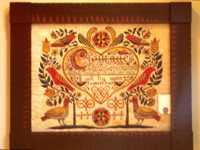 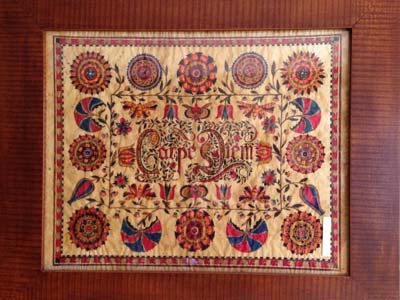 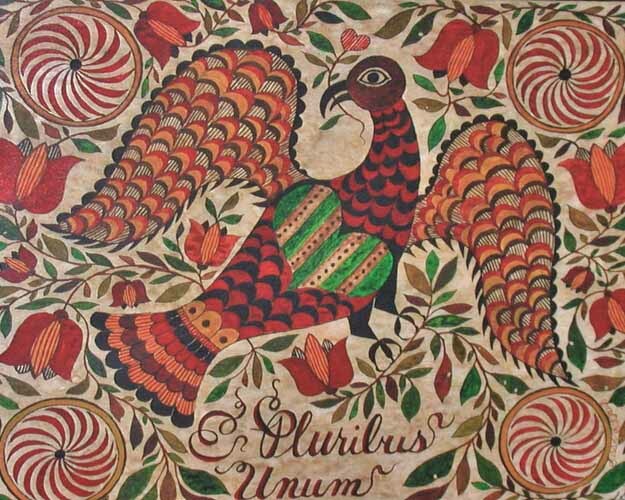 Her hobby of making fraktur as gifts for family and friends quickly grew into a business, and her enthusiasm for the craft keeps her constantly developing new pieces, which are often inspired by antique works. 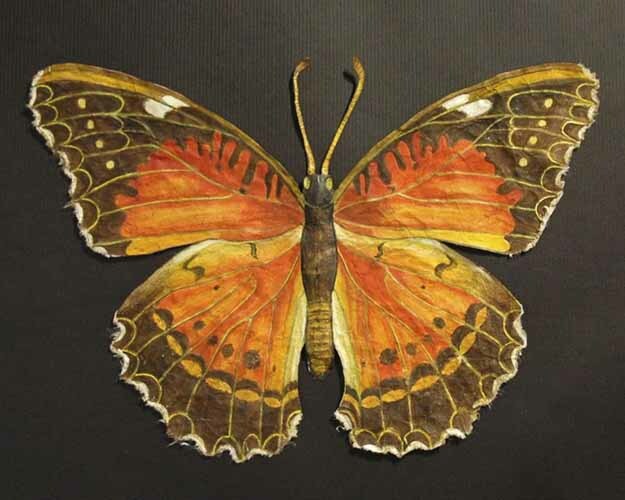 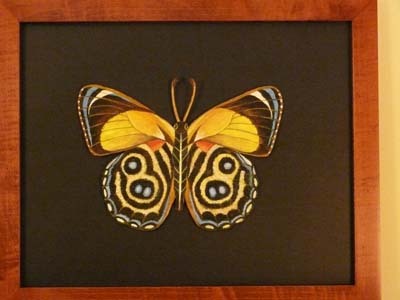 She has added a line of framed butterflies painted and cut to resemble once-living specimens. 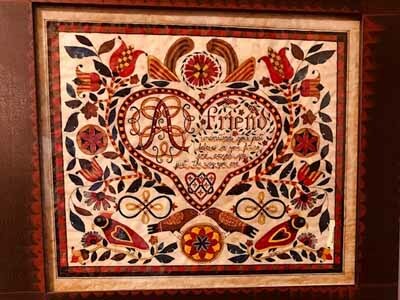 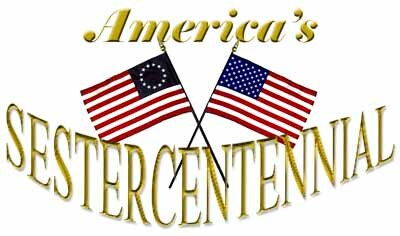 She has been listed in the Directory of Traditional American Crafts multiple times and was honored with “Best of Show” in the first 18th-Century Craft Fair held at Mount Vernon. 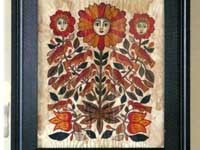 Her work can be found in museum shops at Colonial Williamsburg, the American Folk Art Museum, and the Philadelphia Museum of Art. 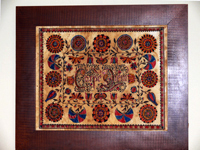 She also created an ornament for the Blue Room Christmas tree in the White House, which remains in its permanent collection. 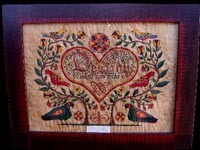 Daul lives in the countryside of North Carolina with her husband of 33 years and their three children, two dogs, and a cat.